Are we able to distinguish them? How many of you received real, on-purpose mentoring in your life? Consciously or unconsciously, I can’t say I have, and that makes me think. Maybe, just maybe we are mistakenly using the wrong words. Stay with me on this. Influencers or Mentors? What is the right word? You see, usually what happens throughout our life is us getting influenced by culture, our families, the people we hang out with and the current situation of our location. These collective experiences are what shapes us to be who we are right now. But is that mentoring? I wouldn’t call it like this. Then there are those of us who love attending personal-development events and buy online courses or join webinars, listening some expert coaching us on a particular subject. Would you call this mentoring? I think this is closer to mentoring because it is an action taking place consciously and we usually have to pay for it. So it makes sense that we focus on absorbing as much information as possible. Finally, there are some time periods in our lives that we were doing an action and someone who genuinely cares about us became our mentor, unknowingly. When I still was in Greece, and for many years I was passionate and deeply involved with racing Go-Karts. I can say that this is a passion I inherited from my father which is passionate about car racing. Almost every weekend was a ritual. I would drive to my family’s house on Saturdays to clean and prepare my Go-Kart, and my father would stay with me at all times to help me with the mechanics. Then on Sunday morning we would load the Go-Kart on the trolley and take it to the racing track. There my father was my engineer, fixing, repairing and teaching me how everything works while I was driving. I can say that this was a real mentoring situation, unknowingly taking place. Wrapping up this quick rant, I would say I’m almost convinced that mentoring takes place usually unknowingly and between people who genuinely care for you while influencing takes place at all times during our lives. – Should you be careful from whom you are getting influenced? Definitely! 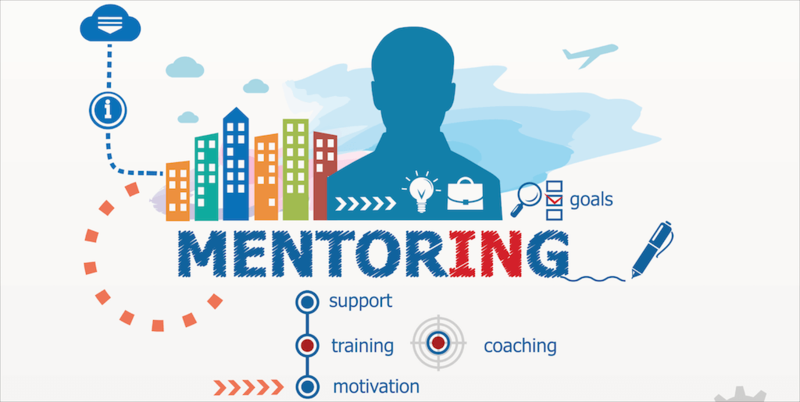 – Should you consciously be looking for mentors and coaches? Absolutely! P.S. Do you agree with this definition? How would you write it differently? Let me know in the comments section below.